Holidays are typically filled with family, fun, and food. And if you’re like me, having grown up in a very close, large family, most holidays were at my grandmother’s home with three or four generations of family present. Now that I have a family of my own I’ve developed my own strategies for surviving visits from the grandparents during the holidays. In today’s modern culture, holidays are filled with long lines, travel, and waiting – waiting to leave, waiting to arrive, waiting for your family’s arrival. All the hustle and bustle can be stressful. Harold and I decided that we want our children to wake up in their own home on Christmas Day. So we stay at home and bring the family to us. Growing up my family gatherings were a huge production. My great uncle Sonny cooked elaborate, delicious meals. My aunt Stevie baked cakes, cookies, and pies galore. My grandmother still has a stash of candy in her room next to her bed that she fed us from if dinner was taking a little too long. Holidays were a great gathering of my family with memories that I cherish. Harold’s family is very close but much smaller. And as much as he would sometimes like to fight it, we have both learned to follow a few simple steps to create positive memories and keep the stress at bay. Accept that your children’s grandparents and your parents are NOT the same people. Just face it. Wouldn’t you love to enjoy fun times with your kids every moment of every day? Well, it seems that’s why God created grandparents. When your children exhibit behaviors that would have landed you picking a switch or banished to your room it’s endearing and adorable to your parents. When your parents overlook, overshadow or just plain ignore your parenting rules – ones you very likely inherited from them – that’s just their way of enjoying the good times they didn’t get to have when raising you. Cake for breakfast and cereal for dinner? No problem. And whose got a bedtime when Grandma’s here? Approaching time spent with the Grands with this is mind will lessen the tension and the stress around their visit. Plan some activities where everyone can participate. 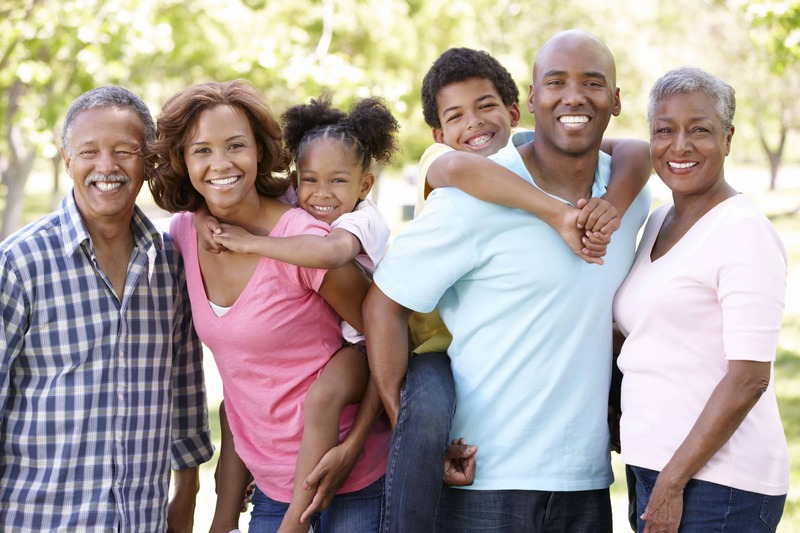 Especially if the Grands come to visit you in your own space, plan activities for the entire family unit. They will appreciate the inclusion and the children will have the best of both worlds – fun with mom and dad with modified rules. Go sledding, ice-skating, play board games, watch movies or tell family stories to the kids. All in all, you will be building positive memories for everyone. One year we took family photos and my parents were invited to be in them. Of course, my Dad did not follow the requested dress code, but I knew he wouldn’t. Not only are we creating the memories we are capturing them for years to come. Take advantage of the opportunity for alone time. If you’re like me, your college education, career opportunities or those of your spouse have taken you away from your hometown. We live in a city where the next closest family member is 100 miles away. Visits from the Grands are an opportunity for date night, spa time or maybe even just a nap. You get to leave the house for adult interaction and the kids get you to leave the house for Grandkid fun time. It’s a win-win. So at 1 PM on Christmas Day when the hubby suggested we go take a nap, I said ok. And when we woke all was well with the world and the house was still standing. Try taking a nap when the Grands aren’t visiting. Yeah, that’ll never happen. Set some ground rules, but be prepared to bend them. Establishing rules helps to maintain order and consistency helps to achieve routine and sets an expectation that your children can depend upon. Contrary to the popular saying, rules were not made to be broken. The trouble is that when grandma and grandpa come for a visit nothing is routine or consistent. Allow yourself to go with the flow a little. Remember that it’s temporary and that a couple days break from the routine will not ruin the pattern of behavior you’ve built with your family. All in all, visits from the Grands can be a temporary relief from the stress that parenting can cause when viewed in the proper perspective. So go ahead and make plans for Grandma and Grandpa to join you for Spring Break. Then sit back, relax and take a nap. What approach do you take to survive visits from the grandparents during the holidays?